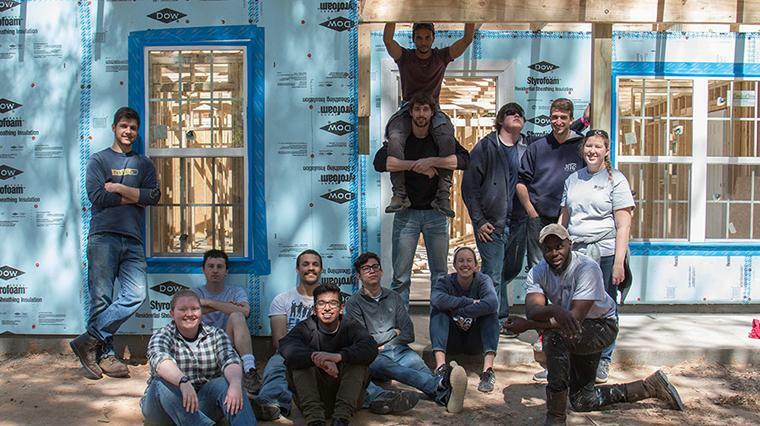 Y-Serve, the oldest student organization on campus, takes service trips during most fall and spring breaks. Student leaders sign #StudentsAgainstHate petition. 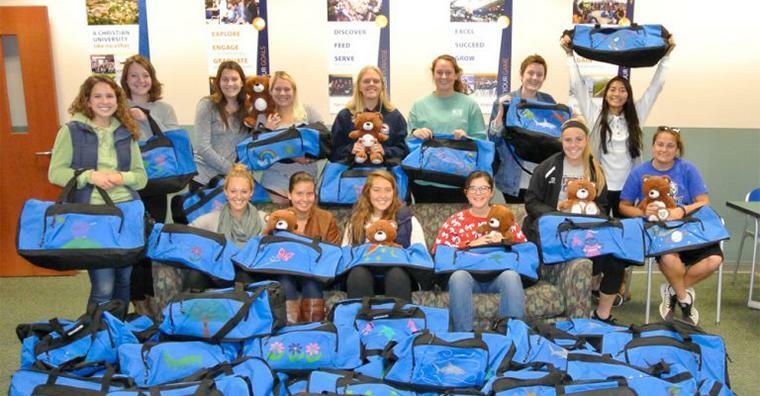 Field hockey team raises money and purchases "Sweet Cases" for foster children. Take Back the Night activities included chapels with story-telling and poetry. 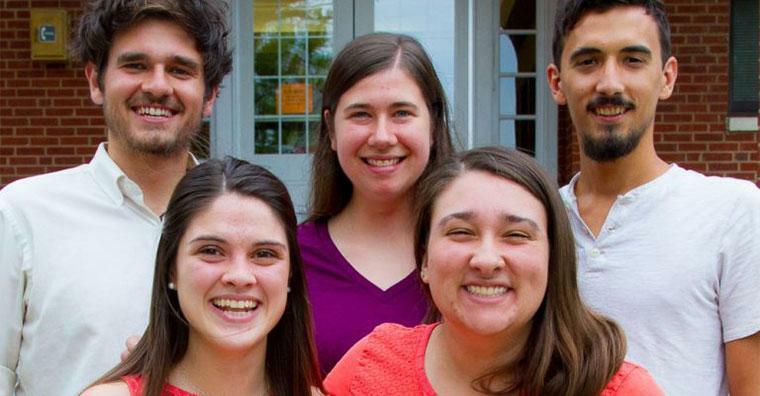 Students are invited to explore ministry each summer through the Ministry Inquiry Program. Appreciation Week, an effort of campus ministries, gave everyone – students, faculty and staff – a variety of opportunities to show appreciation for one another. 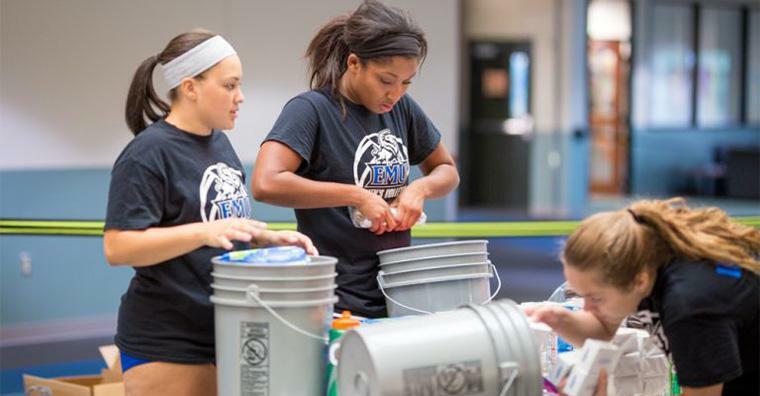 Volleyball team and student groups raise money and pack hurricane relief kits. 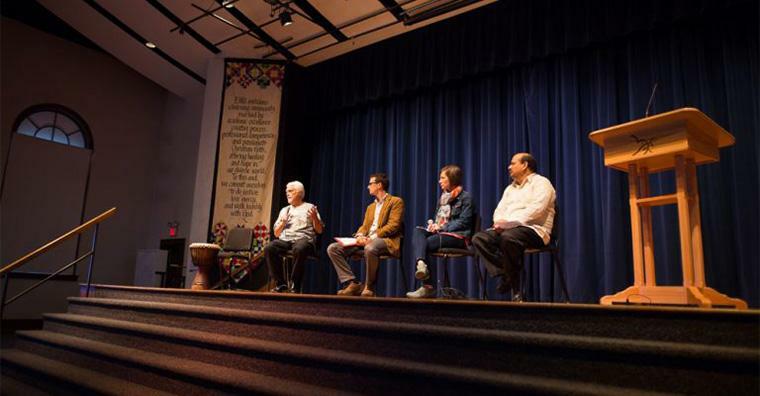 Augsburger Lecture Series features alumni with diverse missions experience. 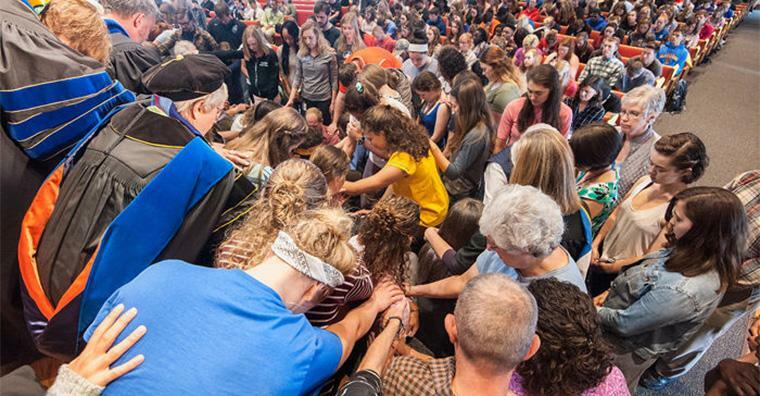 The EMU community prays for students as they leave for cross-cultural programs each semester. Faith and spiritual life at EMU takes on many forms. Our core values of faith development, service to others, peacemaking, sustainability and environmental stewardship and community are all parts of spiritual life at EMU. If your faith is nurtured in the context of community, worship and prayer, EMU is for you. Together we worship God in campus worship services planned by campus pastors and student pastoral assistants. Many students meet on Sunday nights for a time of celebration praise worship or Monday evenings twice a month for hymn sings. Gospel choir leads worship on and off campus. A prayer labyrinth is located near the gazebo on the hill just above the Campus Center and seminary buildings. Prayer rooms are available in Northlawn and the Seminary building. Spiritual disciplines are taught and practiced in the Spiritual Formation Class and in other settings. 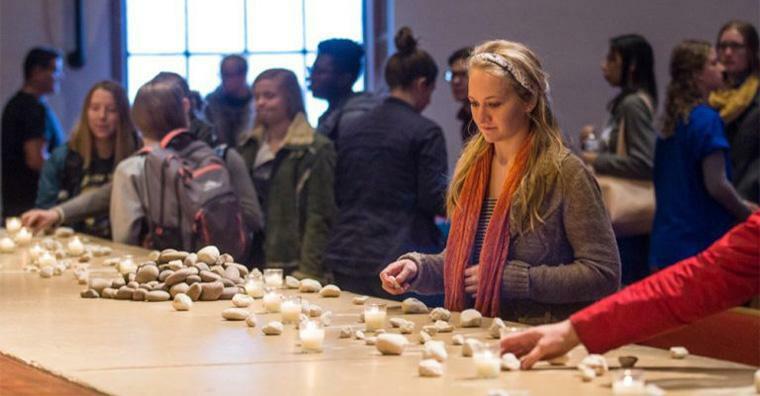 Spiritual Renewal Events are held each semester. 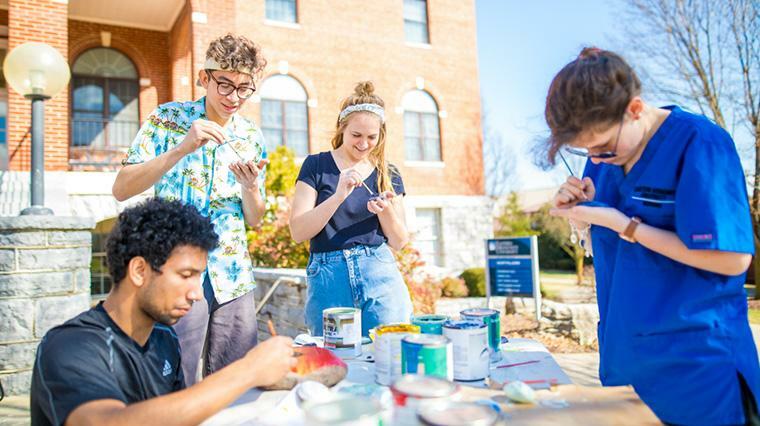 EMU envisions a learning community marked by academic excellence, creative process, professional competence, and passionate Christian faith, offering healing and hope in our diverse world. Read the EMU mission statement and life together statement and consider how to serve Christ on campus. If your faith is nurtured through acts of service and compassion, or the passionate search for justice for the oppressed, EMU is for you. Student groups are involved in outreach and service near and far. From cleaning up the local Blacks Run stream, to packing hurricane relief kits, to protesting and demonstrating against hate and violence in the world, EMU students show faith in action. Here are just a few student groups that integrate faith and action. EMU professors integrate their faith with instruction, administrators lead from Mennonite beliefs, campus pastors provide encouragement, nurture for faith formation and pastoral care leading to healing and hope. Grow in your faith by participating in a local congregation, doing a summer of Ministry Inquiry Program, being in a small group or getting involved in other ways. 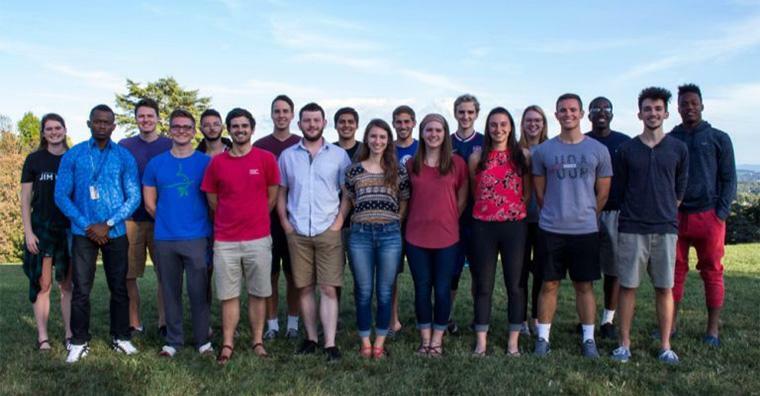 Eastern Mennonite Seminary, the University’s graduate level theological program, also offers opportunities to explore pastoral ministry. All students are welcome to attend classes, lectures, conferences and chapel services hosted by the seminary.